Total 2018 sales of silver Eagles slowed to the lowest level since 2007. The Mint wound up with some excess of 2018 dated coins and actually required dealers to take a chunk of ‘18s with each new order placed for 2019 coins. More than six million 2019 coins have been sold so far, two million more than in the same period last year. This is in addition to excess 2018 coins having been cleaned out since January 1st. The demand was not fully anticipated, and sales are now suspended for a few weeks while the poorly managed U.S. Mint plays catch up. When sales resume, dealers are expected to be on “allocation” – or limited as to the quantity of coins they may purchase. This leaves the silver bullion market a bit vulnerable to a supply shock right now. 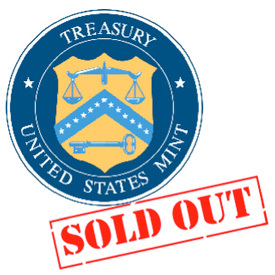 The U.S. Mint suspension is not the only bottleneck currently. The two largest producers of silver rounds and bars have disappeared in recent years. Elemetal was caught in 2016 with employees later convicted of international money laundering via gold. Republic Metals filed for bankruptcy late last fall. Asahi, the Japanese firm who purchased Johnson Matthey’s U.S. gold and silver refining business in 2015, agreed to purchase Republic’s Miami-based plant and equipment. Silver bullion production capacity could get a significant boost when Asahi is able to begin operations. As yet, however, there is no firm estimate as to when that will be. It also remains to be seen whether Asahi plans to produce the wide range of products and designs formerly made by Republic. Asahi currently only produces 4 sizes of silver bars for retail investors; 1 oz, 10 oz, 1 kilo and 100 oz. Fortunately, the higher silver prices since the lows of last November have sparked a healthy amount of retail selling. So there is more product coming back to dealer inventories on the secondary market – helping to fill the gap. While premiums certainly rose for most silver products over the past few months, the move has not been excessive. There have been delivery delays for some bars and rounds. These have dissipated a bit recently, but could reappear quickly if the higher premiums and delays associated with Silver Eagles lead to more demand for rounds and bars. Now would be a difficult time for the silver market to accommodate a surge in buying demand or a significant drop in supply from investors looking to sell.